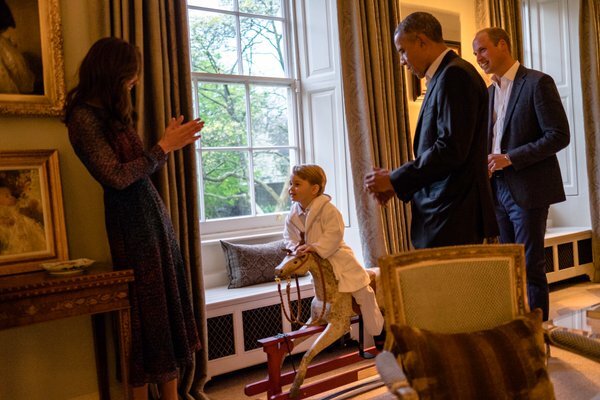 HRH Prince George of Cambridge rides a rocking horse, a present from the President and the First Lady of the United States of America. I believe the present was sent in 2014. 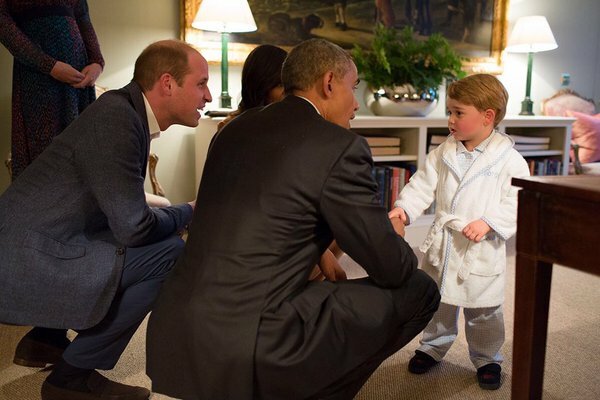 I LOVE the pictures of Prince George in his little robe! 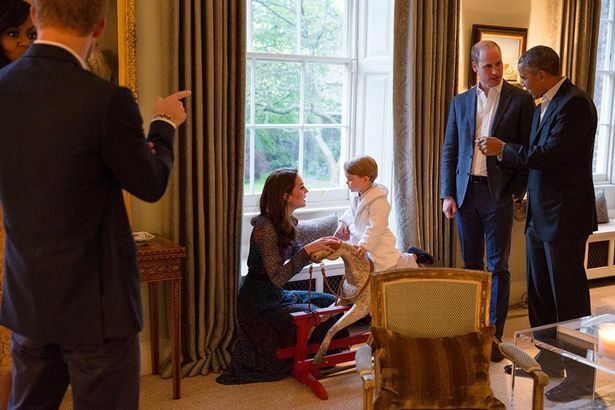 Also loving the look at the Cambridge family's home. Marlene, I've got a question. With the birth of Prince Alexander of Sweden, I realized that if the Swedish succession law didn't apply to Prince Carl Philip, the newborn would be a future king. If I recall correctly, the law was passed shortly after Carl Philip's own birth, and he was actually crown prince for that short window of time. If the law had been like the Norwegian one, which kept Crown Prince Haakon as heir (though obviously he was much older & had been trained all his life for his role as a future king), Carl Philip would still be crown prince & the heir to the throne. So my question is this: has Prince Carl Philip shared his thoughts on losing his place as heir in favor of Crown Princess Victoria? Or have any of the family? I'm sure they all think Victoria does a great job & will be a good queen, but I'm just curious as to their thoughts. As it stands, something would have to wipe out the Crown Princess family in order for Prince Alexander to become king, so he will be living a life of privilege as a prince but will never have much of a royal role. Very different to the life of a future king, all because of a law which effectively removed his father from the position of crown prince. (Of course, one could argue Alexander wouldn't exist because Carl Philip may not have been able to marry Sofia if his wife would be a future queen consort, but that's all theoretical.) Just curious as to what the family members think, but haven't found anything that contains their thoughts, and wanted to see if you had read or heard something given your vast number of resources & amount of knowledge!